CBS News has confirmed that Donald Trump Jr. met with Alexander Torshin – a man with close ties to the Kremlin -- at an NRA event in May 2016. Torshin had been trying to set up a meeting with then-candidate Donald Trump but ended up being introduced to Mr. Trump's son. A source familiar with the meeting says the two men were introduced to each other by a third party and that the conversation only last about two or three minutes. The source says the conversation centered on the men's mutual interest in firearms and, as far as the source could recollect, there was no discussion of the campaign. The meeting prompted attention last week when the Senate Judiciary Committee fired off a letter to Jared Kushner and his attorney scolding them for not handing over documents about a "Russian backdoor overture and dinner invite." As CBS News reported last Friday, that "dinner invite" came in the form of a lengthy email from an intermediary who said that Torshin wanted to set up a meeting with Mr. Trump and that he was interested in setting up a meeting between Mr. Trump and Russian President Vladimir Putin. The email was sent to top Trump campaign officials including former campaign chairman Paul Manafort, campaign official Rick Gates and eventually Jared Kushner who is the president's son-in-law. Kushner's attorney says his client said to "pass on this" and warned campaign officials to "decline such meetings." But in the end Donald Trump Jr. was introduced to Torshin anyway. In a statement, Alan Futerfas, an attorney representing Trump Jr., downplayed the significance of the encounter. He says Trump Jr. "was attending an NRA convention and having dinner when an acquaintance asked him to say hello to Torshin and made an introduction. Futerfas said, "They made small talk for a few minutes and went back to their separate meals." Torshin is the deputy head of Russia's central bank and reports have also linked him to Russian organized crime. 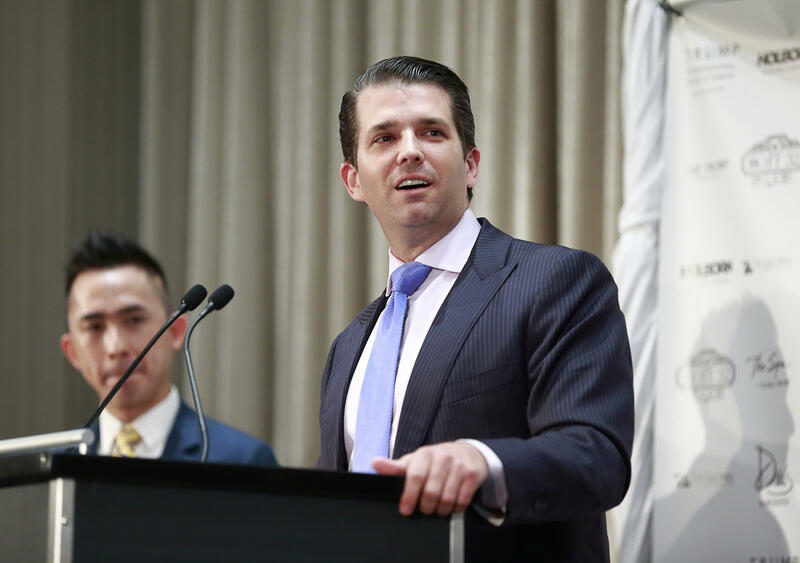 Trump Jr.'s meeting with Torshin took place just under three weeks before the meeting in Trump Tower that is now a focus of the special counsel's investigation. Trump Jr. agreed to the meeting after he was promised "dirt" on Hillary Clinton.